5 Foods for the Best BBQ Ever! Dust off your tongs, shorts and sun cream – it’s BBQ time.? Yes, this week we’re being treated to some seriously hot weather here in the UK and Ireland and it’s your once-in-a-year opportunity to get the BBQ out and enjoy some great local produce. Here’s 5 foods you’ll need to pull off the biggest event of the year – an Irish / Northern Irish / British BBQ. Let’s get started. Let’s not pretend that the meat sweats don’t exist, and to counteract them you’re going to need some cooling coleslaw and potato bacon salad. 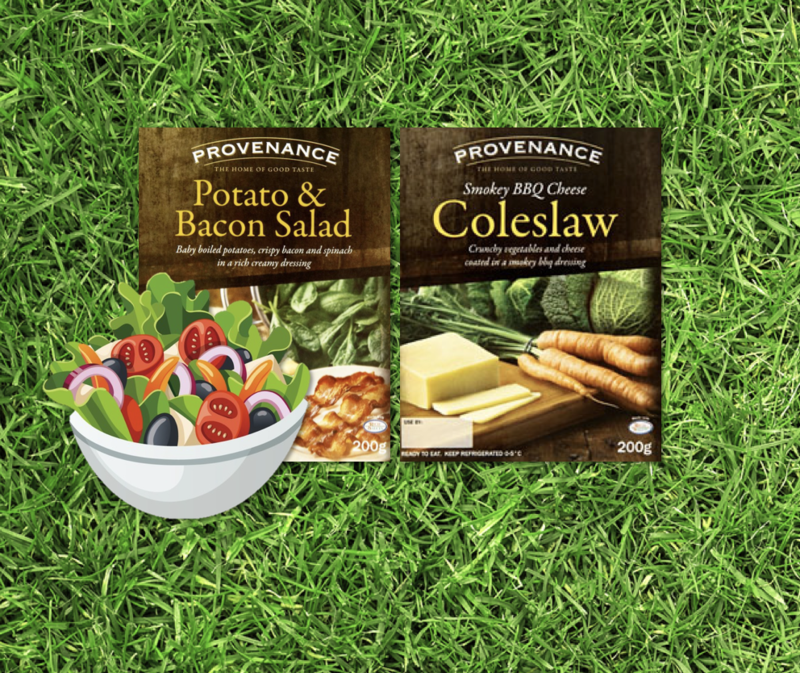 Provenance are experts in any accompaniments you may need for the perfect BBQ. 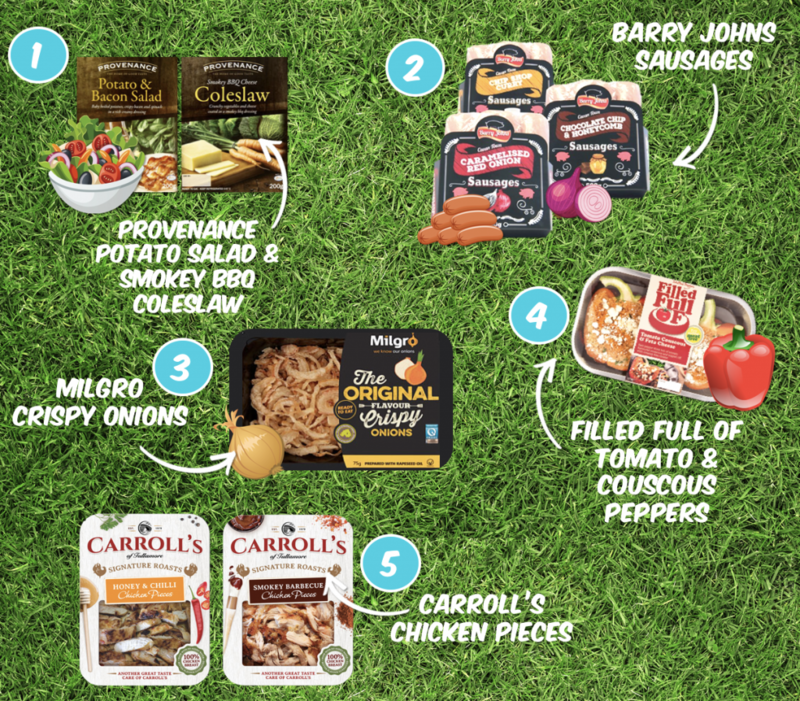 With their Smokey slaw, they’ve got the BBQ taste down to a T.
With over 30 sausage combinations to pick from – it was hard to pick a favourite for the grill. We decided on Chilli & Cheddar, which is sure to impress family friends and perhaps a lucky neighbour. 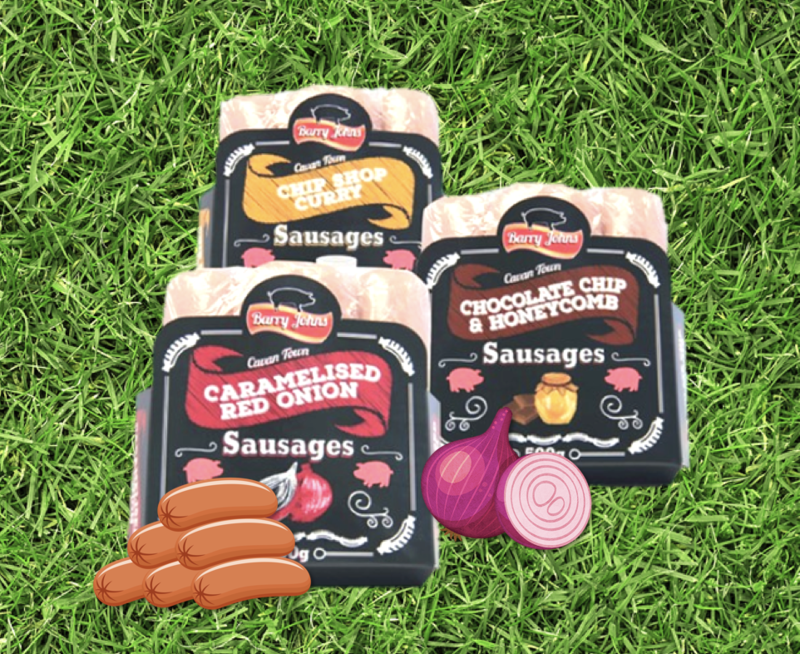 Whether your sausages remain solo with a bit of salad, or in a delicious brioche bap – Barry Johns is made for the BBQ. 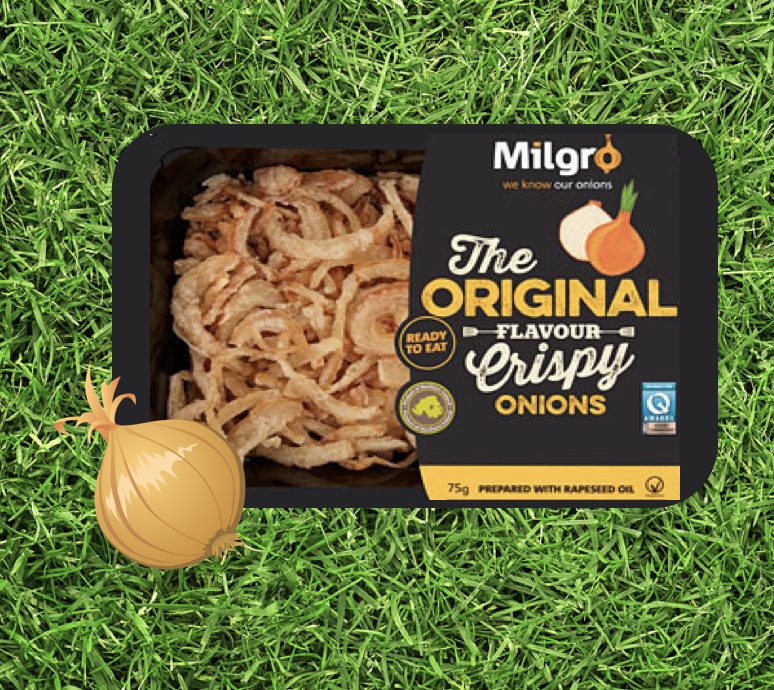 Pre-prepared, all you have to do is heat these onions up and pop them on your burger for that perfect crispy crunch. 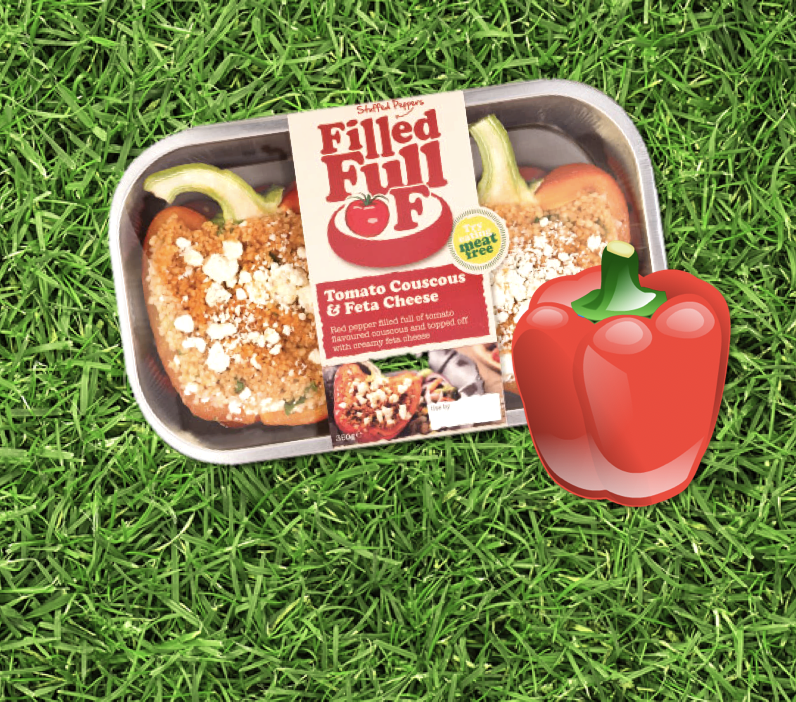 Also available in chilli, this is one convenience food you won’t want to miss out on. BBQ’S are often meat feats – so if you’re a vegetarian or just want an alternative, Filled Full Of has the food for you. Put them on the BBQ for those sought after chargrill marks and watch the Feta melt. Drool. If you have a large family or a lot of guests, sometimes a BBQ buffet is the best option. 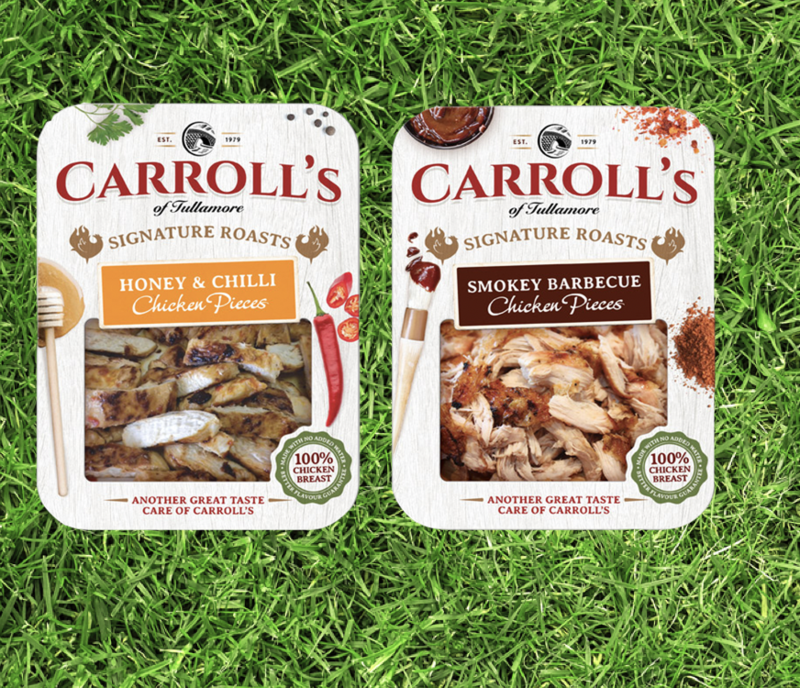 Why not try Carroll’s Honey & Chilli or Smokey Barbecue chicken pieces for some alfresco appetisers.